In the last couple of weeks, I've posted about how the Farmer's Market appeals to the eyes, the mouth, and the nose. It also appeals to the ears. This is Russ Lewark. The last time we saw him was at a local fundraiser. 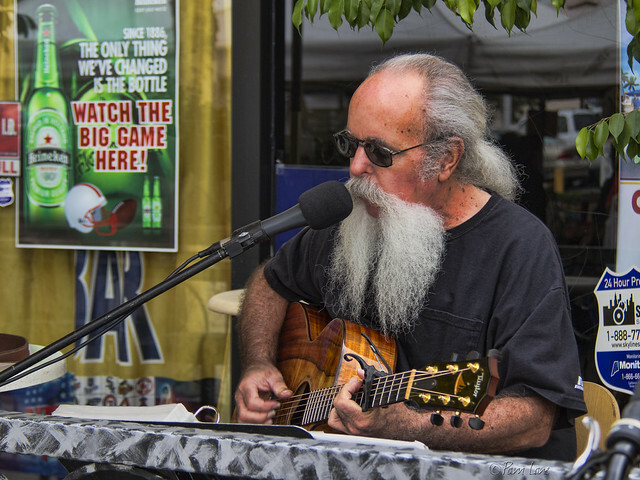 He's a regular at the weekly Farmer's Market, where he still entertains with some of my favorite songs from the 70s, this time Cat Stevens.